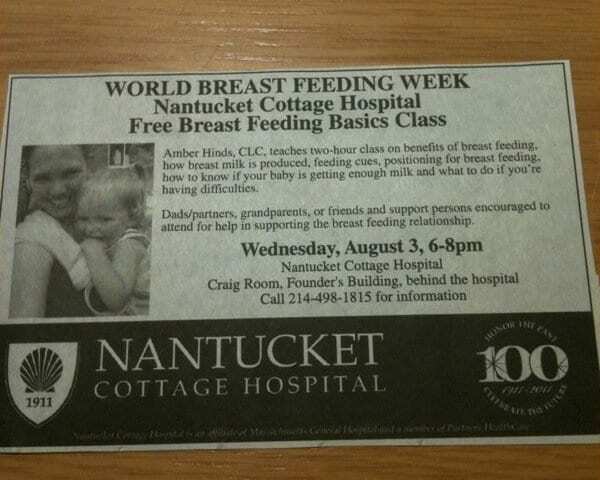 Yes, someone at the hospital doesn’t know that breastfeeding is one word, but it’s awesome none-the-less. So far, I have seven expecting mamas signed up! I’ve been having flashbacks doing all this to when I was working at Bard…it’s really been fun putting my creative skills back to work. I can’t wait to see how all the marking works and how the week turns out!